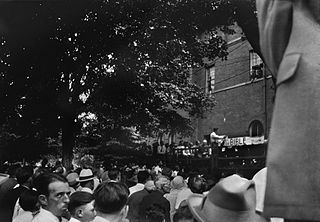 May 5, 1925: Teacher John Scopes is charged with having taught evolution in a Tennessee school. Originally designed as a means of putting the town of Dayton on the map, the case became a circus when Clarence Darrow and William Jennings Bryan rolled into town as defence and prosecuting counsel. The whole affair became a hoary old film of which The Varnished Culture has previously spoken. Scopes was convicted and fined $100 (which was overturned on appeal because, unusually, the penalty had to be stipulated by the jury rather than the trial judge). But Dayton did great business that summer. 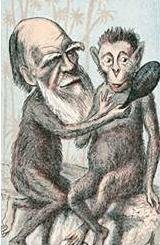 Curiously, Darwin’s elegant theory does have some problems, and to be perfectly frank, the weird complexity of life on earth sometimes seems to vindicate the argument from design, but the absurdity of banning the teaching of something is clear enough, except to modern fundamentalists.